iOS gamers patiently waiting for the arrival of the new Sid Meier’s Ace Patrol flying game, will be pleased to learn that it has now landed in the iTunes App Store and is available to download for free. 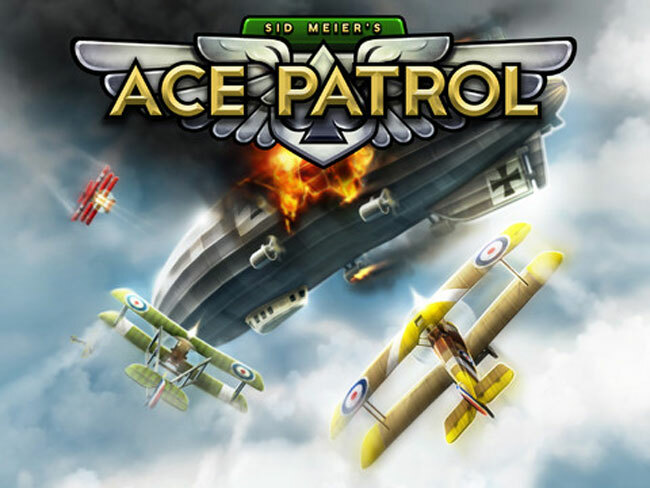 The Sid Meier’s Ace Patrol flying game is packed with in-app purchases and features over 120 missions using 30 authentic aircraft. Allowing you to earn promotions, equipment upgrades and advanced manoeuvres along the way. Watch the gameplay demo after the jump to see it in action. “The skies over Europe are a dangerous place, where ace pilots lead their squadrons to glorious victory or crushing defeat! Take control of dozens of the most famous fighter planes of WWI and head into the dogfight. Roll, slip, and loop to get the drop on enemy aces. To download the new Sid Meier’s Ace Patrol flying game jump over to the iTunes App Store.